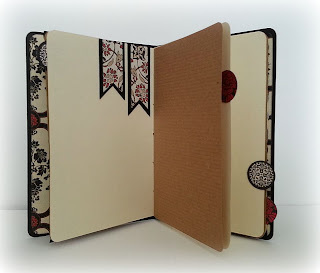 Hi I'm back again with another project that I've made for the Clare Curd Crafts DT blog. Once again I've used one of Teresa Collins' paper collection kits. This time it's the Fabrications Linen pack. You get nine double-sided 12x12 patterned paper sheets (I say paper but it is more like a thin card) and a die-cut accessory sheet for £7.49. 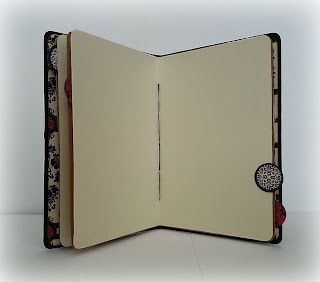 The journal measures 6 x 4 inches and to create the cover I simply took a sheet of 6 x 8 1/4 inch cardstock and scored it at 4 inches and 4 1/4 inches. This creates a 1/4 inch spine. For my inside pages I folded sheets of cream and kraft paper in half and stitched them to the spine using a pamphlet stitch. I used a waxed linen thread but you could use anything to do this. The stitch is so easy to do and I love the effect. I attached some beads to the ends of the thread but you could just simply tie a bow with them. 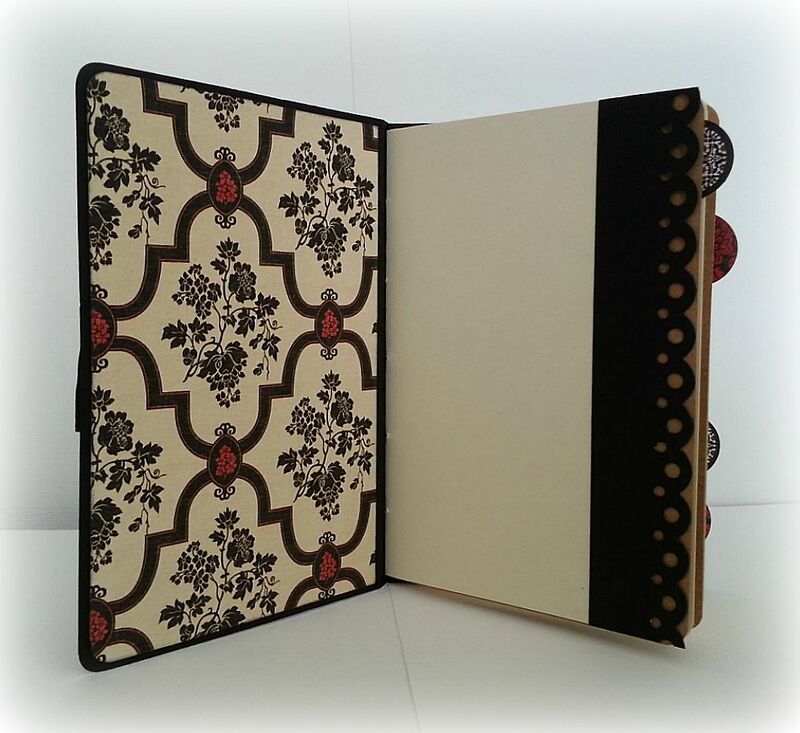 I used two sheets of the patterned paper for the front and inside cover and I inked the edges with Tim Holtz's black soot ink pad. 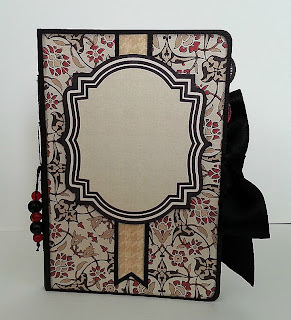 I added one of the pieces from the accessory sheet to the front cover but left it blank as this journal is for a swap that I'm taking part in, the recipient can add their own title later. I decorated the inside pages with some border strips, banners and some of the circles from the accessory sheet which I stuck to the edges of the papers to create some tabs. 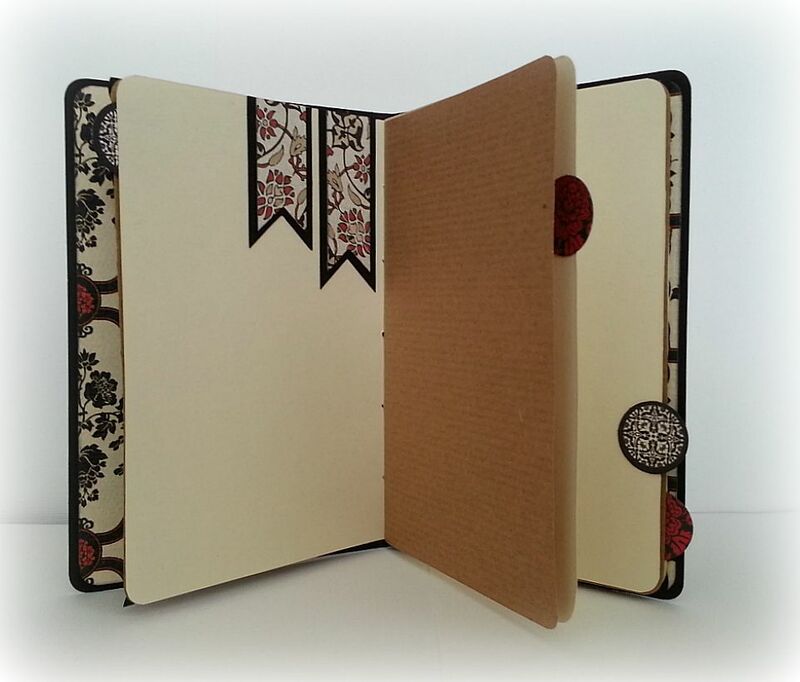 I hope you have a go at making one of these journals - they are so easy to make - they take no time at all to put together. 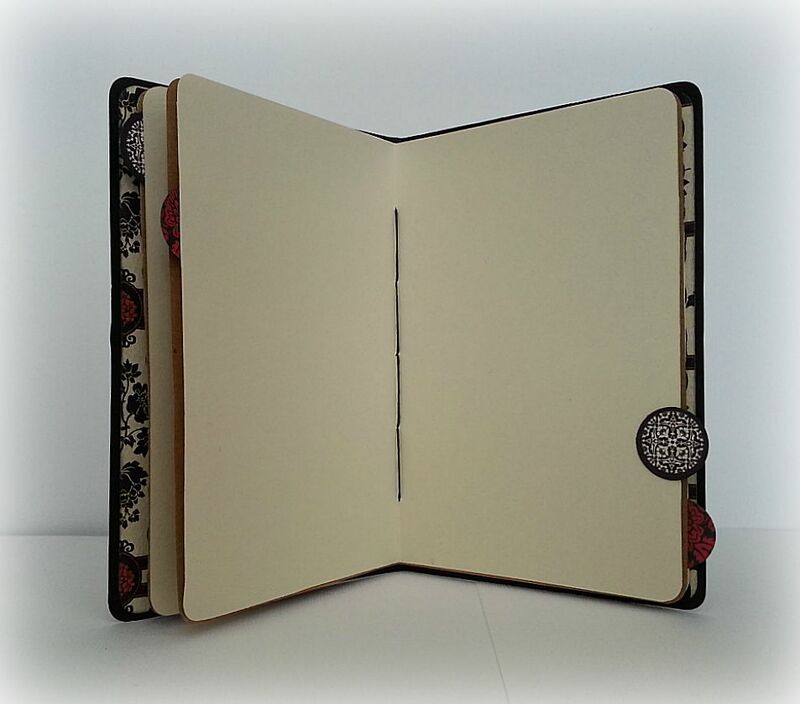 I will be posting a video on my youtube channel soon of my journal, but in the mean time if you have any questions on how to make one please leave a comment. This is an Interesting tutorial. 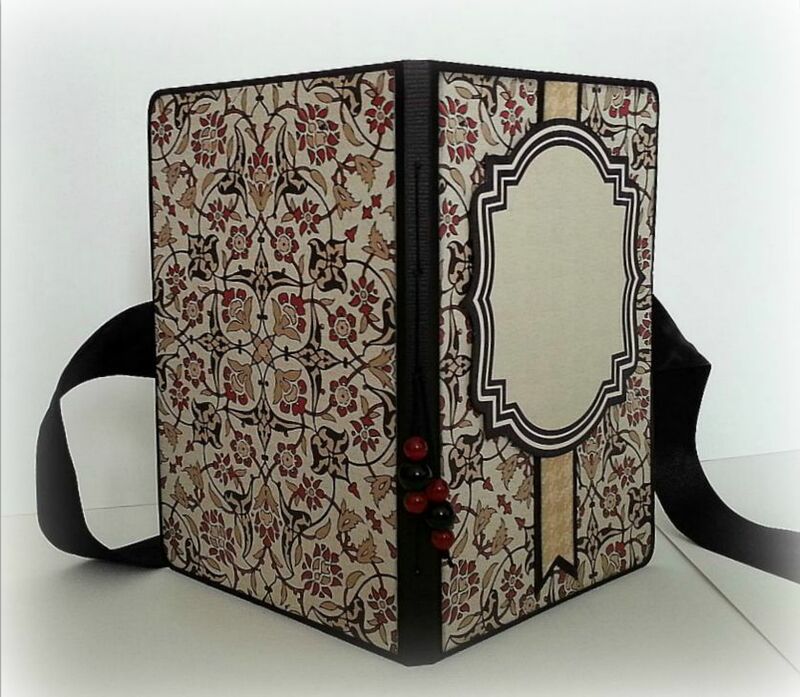 I never thought that such a beautiful journal could be made so easy and quick. I especially like the pattern you have chosen for the front sheets and the paper you have used for the inside pages. It makes it look old. The black ribbon fits really well with the pattern and the style of the design.